[PEP] Is a PepsiCo Spin Off Coming? Canadian National Railway (CNR.TO) (CNI) announced that its board of directors had approved increasing its dividends by 25%. The quarterly cash dividend will increase from $0.25 to $0.3125 per share payable on Mar 31, 2015 for shareholders on record as of Mar 10 & ex-div date of Mar 6. Yield going forward based on today’s closing price is 1.47%. Fourth-quarter 2014 net income was C$844 million versus net income of C$635 million for the same period of 2013. Q4-2014 diluted earnings per share (EPS) increased 36 per cent to C$1.03 from diluted EPS of C$0.76 for the final quarter of 2013. Full-year 2014 net income was C$3,167 million, or C$3.85 per diluted share, compared with net income of C$2,612 million, or C$3.09 per diluted share, for 2013. Full-year 2014 volumes reached record levels, with carloadings up eight per cent and revenue ton-miles up 10 per cent. Q4-2014 operating income increased 30 per cent to C$1,260 million, and full-year 2014 operating income rose 19 per cent to C$4,624 million. The fourth-quarter 2014 operating ratio improved by 4.1 points to 60.7 per cent; the full-year 2014 operating ratio improved by 1.5 points to 61.9 per cent. My portfolio consists of 40 shares of CN, which increases my annual dividends from $40 to $50, an increase of $10. I decided to add to my position in Canadian National Railway (CNR.TO) (CNI). Canadian National Railway is the larger of the two Canadian railroad companies and the second largest publicly traded railroad companies in North America. The company commands 20,000 miles of tracks and is strategically well placed to move oil from Alberta, the Bakken fields and to/from the refineries in the Gulf Coast. A holding of Bill Gates’ Cascade Investments, this stock has made Mr. Gates and his investment firm very rich over the years. I added 20 shares in the Canadian listed stock, which adds C$20.00 to my dividend income annually going forward. The company is scheduled to release its earnings report tomorrow after market close and is also expected to raise dividends. Railroads are the pulse of the economy and are critical in the transportation of industrial, lumber, crude, merchandise and agricultural products. An essential part of every portfolio, railroads make a small portion of my portfolio and I decided to add to my position. The stock is currently not cheap. At PE over 23, the stock is overvalued. However, I am investing for the long term and a strong company like CNR is hard to find at cheap prices. I will be averaging down on this cost basis over the coming months/years. The crash in oil presents some headwinds for the railroads. While the running costs decrease due to fall in oil prices, the bulk of payload growth is crude oil. The crash will probably result in cutbacks, M&A, terminations in oil production companies, meaning that the revenues for the railroads might be affected over the coming quarters. Full Disclosure: Long CNR.TO. My full portfolio is available here. Is a PepsiCo Spin Off Coming? PepsiCo (PEP) is a global powerhouse in the snack and beverage business. The company boasts a plethora of brand names are recognizable anywhere in the world. 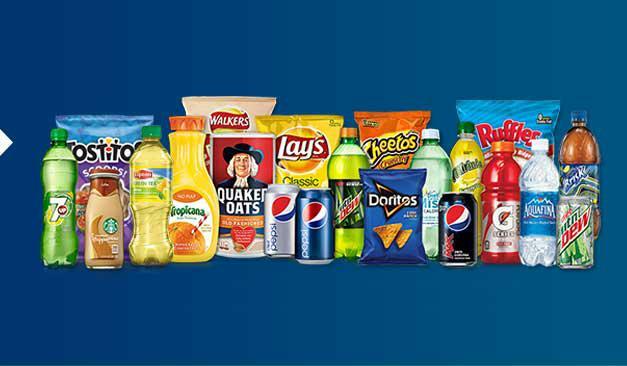 A company with a market cap of $145B, PepsiCo boasts a brand value of upto $20B. Although the brand value does not match its main competitor Coca Cola (KO), it remains well ahead of other beverage companies such as Dr Pepper Snapple (DPS). PepsiCo remains a great challenger to all its competitors and is very well received in growing emerging economies. According to PepsiCo’s 2013 Annual Report, the company is almost evenly split between the food and beverage segments and the also geographically well diversified, with half of its net revenues coming from North America and the rest from International locations.